We have a stellar reputation for jewelry repair & maintenance, and for good reason. With our state of the art tools and years of experience, we can fix almost anything. Bring in your broken jewelry and let us revive it! And as always, FREE cleaning and inspection on all your jewelry (even if you bought it elsewhere!) everyday. Broken prong? Missing stone? Broken clasp? All forms of jewelry repair. Jewelry often accompanies us on all our adventures in life, and sometimes things happen. You can count on DCVJ to care for and repair your special jewelry. Watch too loose or too tight? We can fix that. Don't struggle with a too tight or too loose watch. 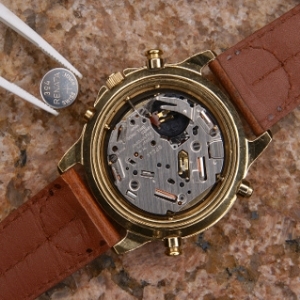 We can easily resize your watch band to ensure it's the right size for you. Your time piece should fit your style and your wrist comfortably. What's it worth? We'll tell you. 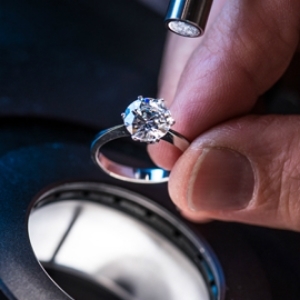 It's smart to insure your most cherished pieces. But to do that you'll want to have an appraisal so you're protected if there's a loss. Sales receipts are often inadequate for insurance companies. Bring your jewelry to DCVJ and we'll appraise it for you, quickly, confidently, and accurately. Don't leave that broken strand lying in a heap in your jewelry box. Bring it by for a professional restringing so you can wear those beauties! Engraving- Make it personal with a message. We offer professional engraving for all your jewelry. Time going by slowly or not at all? Don't worry, your watch just needs a new battery. Bring it by anytime and we'll take care of it for you. One useful tool in our arsenal is our laser welder. We can make a variety of repairs to your jewelry without excessive disruption of the piece. The laser can fill porosity, re-tip platinum or gold prong settings, repair bezel settings, repair/resize rings and bracelets without removing stones and correct manufacturing defects. Jewelry lost that "like new" luster? Rhodium plating could be the answer. Plain white gold still has a yellow cast. To get the bright white gold look you love we can plate or re-plate it with rhodium.